Ruthless Golf: Say Hello to Julia! 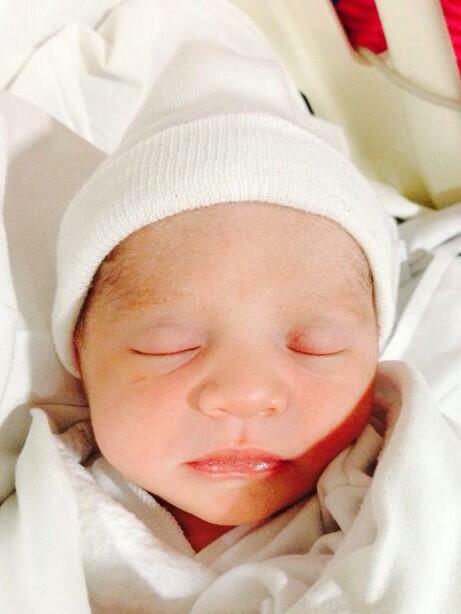 Yes, in case you missed it, Lorena Ochoa is a mommy again! Pedro has a little sister named Julia. My Spanish isn't great but, based on her tweets, it looks like Lorena gave birth at 3:30pm Tuesday. "Tenemos la felicidad de compartirles que hoy a las 3:30 Pm nació nuestra hija Julia, gracias por sus buenos deseos!" I think the big question now is whether Lorena will play in her Lorena Ochoa Invitational tournament next week. I doubt it. But I suspect Julia will make an appearance. It's clear she's addicted to the attention.